All of the support and work we do at DDH UK is free of charge, but it is not free to provide. Our aim is raise the £5,000 turnover needed so we can go from a charitable trust this year to a registered charity with a charity commission number. To do this we need we need YOUR help. If you are interested in fundraising for DDH UK we have lots of ideas and would love your support. When it comes to fundraising you can go it alone or get together with friends, family and neighbours. The only limit on what you do is your imagination. From baking cakes and washing cars, running marathons and cycling across mountains to holding a quiz night or skydiving, they are all their for the taking. 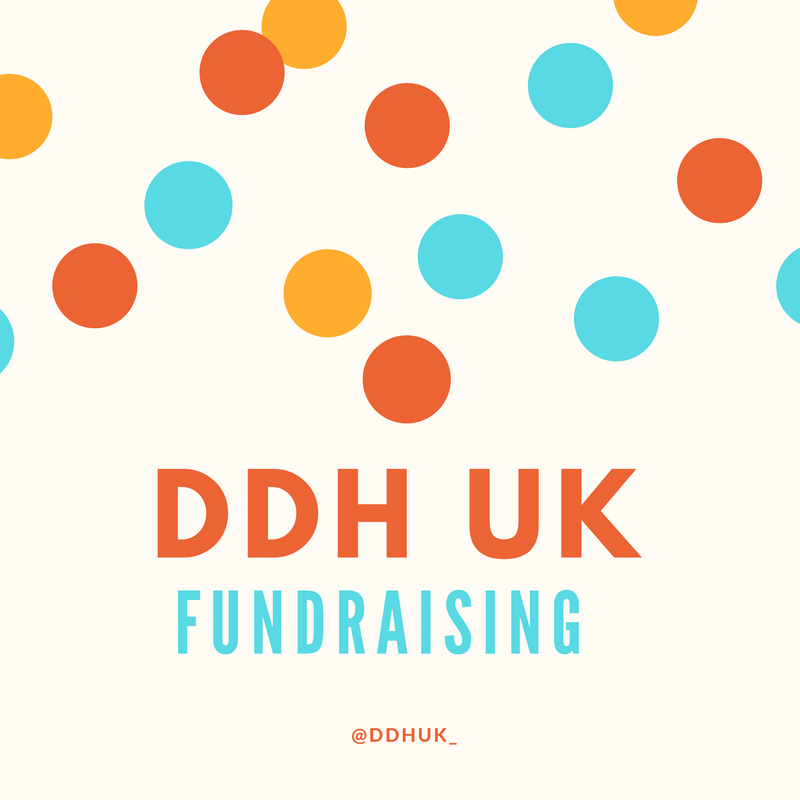 We offer fundraising packs, including PR materials, flyers and fundraising tips, and we can guarantee that DDH UK will be there to support you every step of the way to ensure your efforts are a success. £5 is all it takes to create on Survival Pack for parents to take into hospital. £10 will help buy extra nappies for a child who is in plaster for months unable to walk or sit down properly. £30 will pay for 100 informative leaflets to be created and printed and sent to GP surgeries, hospitals and parents. £50 will pay for a family to go to the cinema and have a pizza together with wheelchair access so no one is left at home. £371 (ex VAT) will buy a new portable Spica chair. To find out more, get in touch with us today and together we can start making healthy hips and happy kids a reality.